Please follow the process to create a new Item. 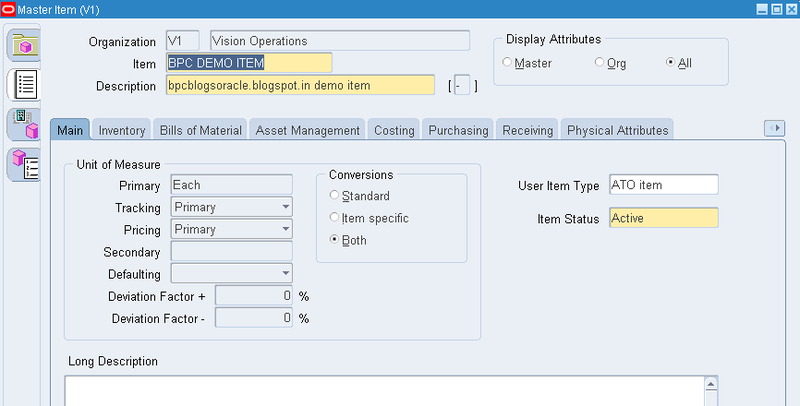 Navigate to the Inventory Super User responsibility. 4. 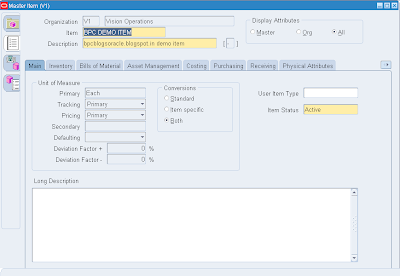 Now you can copy attributes from any existing templates or manually set all the attributes for all the tabs. 6. Select any existing template which suits your requirements and then click Apply, once Template is Implemented then click done. 7. 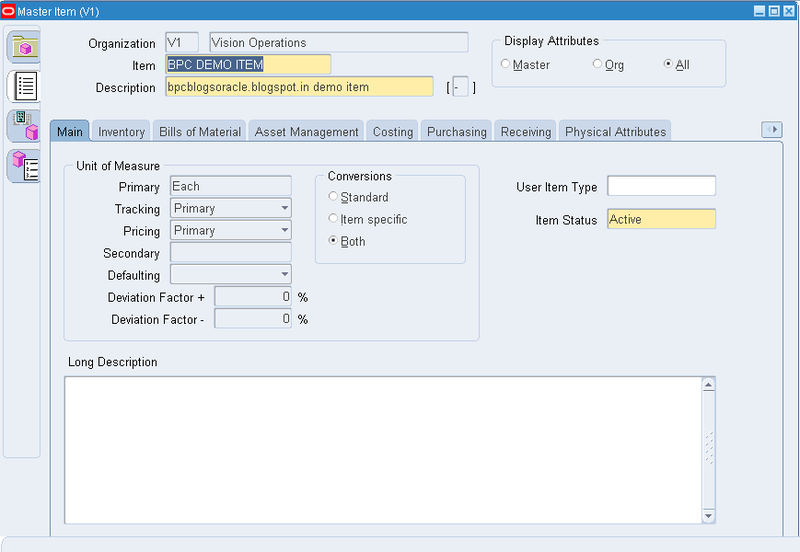 Now all attributes are set as per the template. 8. You can check the tabs individually and whenever any attribute needs to change for your business requirement, you can do the change. 9. After done with all the changes, Click Save.